ew Delhi. A panel discussion was organised on 27 September by a network of people’s movements, trade unions and NGOs under the banner of Peoples Forum on BRICS. The panel on ‘Foreign Policy Challenges’ that elaborated various concerns around the BRICS 2016 Summit is the first in a series of events being organised in Delhi and Goa in the run-up to a larger people’s assembly in Porvorim, Goa from 13-14 October, just before the official BRICS heads of state summit from 15-16 October. Earlier in the day, all central trade unions, except the BJP affiliated Bharatiya Mazdoor Sangh (BMS) boycotted the high profile BRICS Labour Ministers Meeting in New Delhi citing lack of due process and attempts to restrict meaningful participation. ‘The Indian trade union movement is diverse and this has been respected in earlier forums’, said Amarjeet Kaur, National Secretary at the All India Trade Union Congress (AITUC). This time there has been no official invitation from the Government, she added. The People’s Forum on BRICS stands in solidarity with the trade union boycott and asserts the importance of an independent space where critical voices can be heard. The group also cited concerns about the Government sanctioned CIVIL BRICS to be held next from 3-4 October in New Delhi, where it is unlikely that critical issues such as the attack on human rights in India, implications of the coup in Brazil, rise of corporate land grabs in various BRICS countries are unlikely to be discussed. Panelists at the Delhi event expressed concern about the current lack of coherence in BRICS with various countries working at cross purposes. Journalist Seema Mustafa, Editor of Citizen.in said that the Modi Governments domestic posturing around nationalism, attacking Pakistan for terrorism and increased collaboration with the USA through initiatives such as the Logistics Exchange Memorandum Agreement (LEMOA) is likely to isolate India from groups such as NAM and G-77 in the longer run. Achin Vanaik from the Coalition for Nuclear Disarmament and Peace (CNDP) underlined that Foreign Policy is an extension of national policies and priorities. ‘Prime Minister Modi’s Foreign Policy is mostly about self-projection and masculinity, he said. Vanaik warned against such a reductive policy, caught in the discourse of nationalism and terrorism. Prabir Purkayastha, Editor with Newsclick.in emphasised the importance of China’s One Belt One Road (OBOR) initiative to create an alternative to the current control of maritime trade by the West. Prof. Ajay Patnaik from Jawaharlal Nehru University (JNU) argued that that Russia has a keen interest in a multi-polar world and therefore, is intent on preserving the BRICS. Speaking on Brazil, Prof Sonya Gupta from Jamia Millia Islamia said that the progressive role of Brazil in establishing a post hegemonic regional order in Latin America is being undermined by interim President Temer who has already initiated measures to further privatise key sectors of the Brazilian economy. The Peoples Forum on BRICS is a collective effort of several people’s movements, networks and civil society organisations from across India. The PF will attempt to raise critical voices from below on social, ecological, political and economic concerns that are often ignored at big summits such as BRICS. Periodic updates will be posted on www.peoplesbrics.org and the twitter handle @PeoplesBrics. 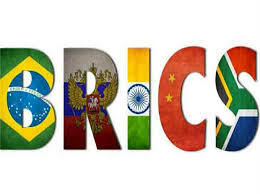 The move to boycott BRICS labour ministerial is a positive move to assert the rights of workers and their sufferings. By this action, they will be able to draw the attention of world workers forums and not just those involved in BRICS meets.